My kids love fresh fruit. They especially love summer fruits like mango, peaches, watermelon etc. They are quite happy with a bowl of fruit in front of them for dessert. But my kids also love frozen treats, ice cream, ice blocks etc. So when I combine their two favourite things, they get very excited. 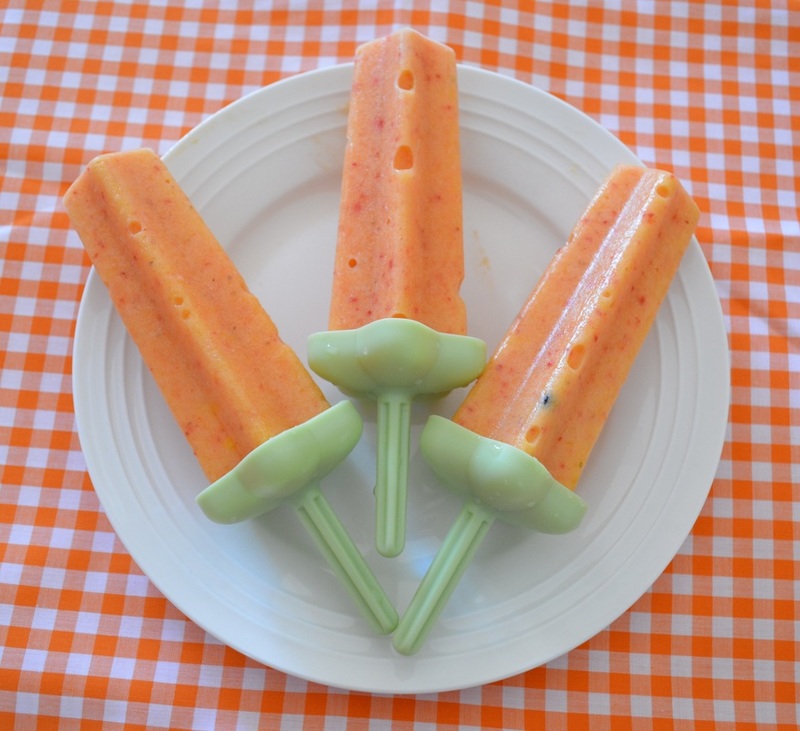 When I make these ice pops, they don't last long. Everyday after school this is the first thing they ask for. And these are actually good for you, I know everything that I put into it. So if you are looking to make something healthy that you and your kids will love, give these a try, they really are good. Line a baking tray with some cling film or baking paper. Place the diced mango onto your prepared tray. Cover and freeze for 3 hours or until frozen. 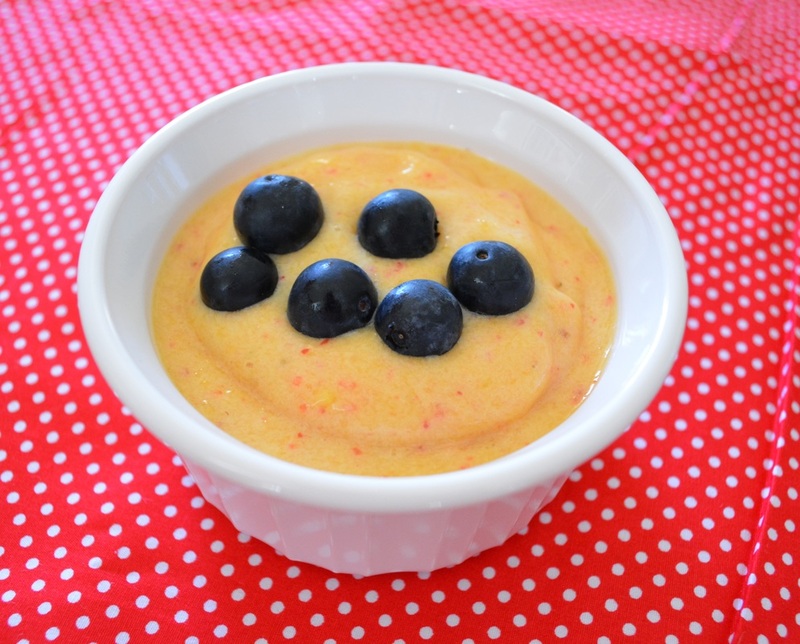 Place the frozen mango, half the strawberries, the banana, juice and yoghurt into a food processor. Blitz until smooth. If you want to serve it now (as a soft serve) pour into glasses. Slice the remaining strawberries and place on top. Serve immediately. If you want to make ice pops. 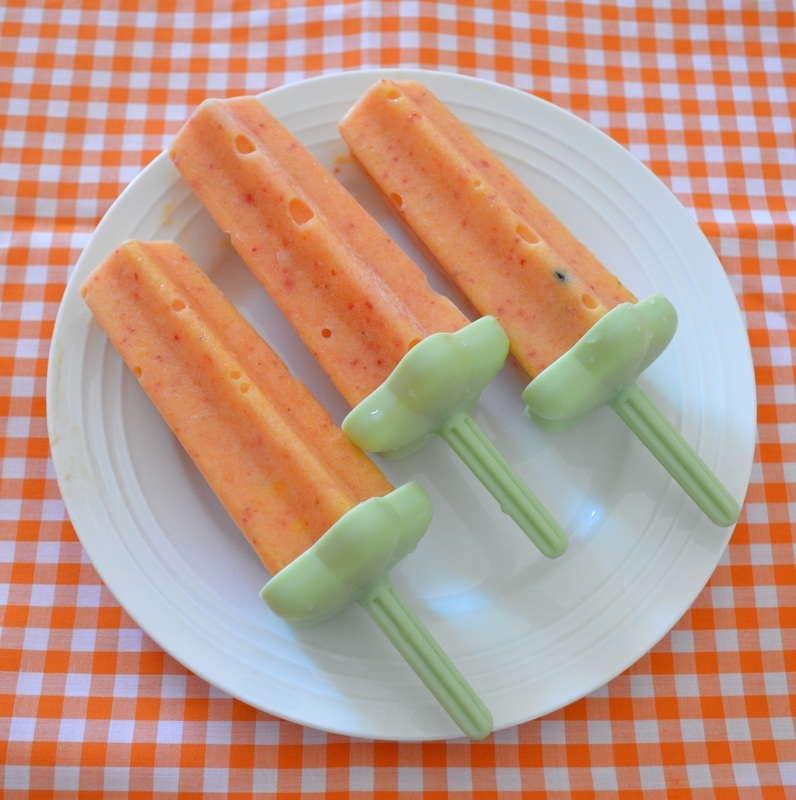 Carefully spoon the mango mixture into your moulds, place in the holding sticks, and freeze until completely frozen. Once frozen remove ice pop covers by putting them under hot running water until the moulds release. Serve immediately.